With the conflict in Syria now in its sixth year, more than 659,000 Syrians have fled to neighboring Jordan to seek refuge as of May 2017, according to the United Nations High Commissioner for Refugees (UNHCR). Of the Syrians in Jordan, the UNHCR says that more than 79,000 are living in the Zaatari refugee camp, making it one of the world’s largest refugee camps in terms of population. Zaatari is a unique camp in that it is essentially a small city, requiring the same GIS services that any city planner’s office would need to manage infrastructure, such as electrical and water networks, and support community services. But until recently, Zaatari didn’t have sustained GIS services, so it was difficult for anyone to make informed decisions. 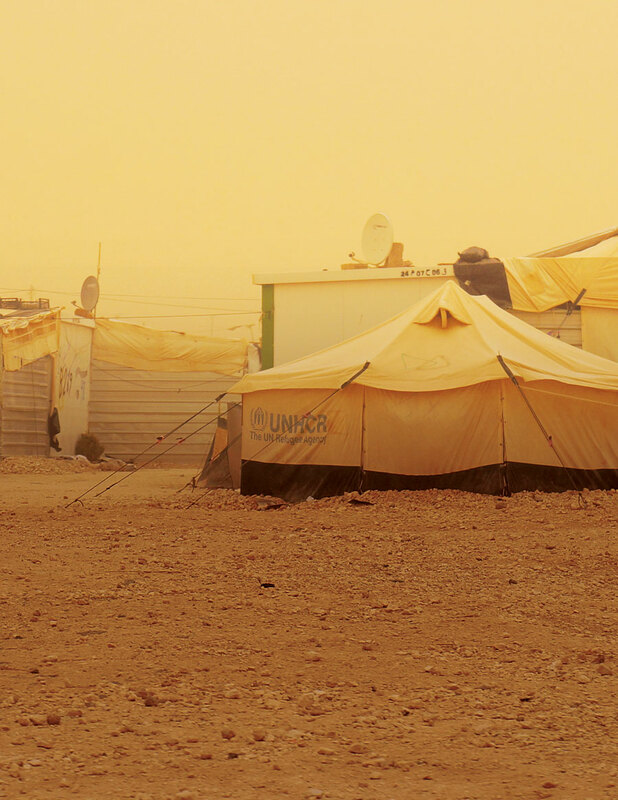 What’s more, Zaatari’s residents not only face basic living challenges, like shortages of food and water and insufficient medical care, but they are also confronted with a much more systemic problem: lack of access to livelihoods and education. To mitigate these two distinct yet related issues, UNHCR, along with the Rochester Institute of Technology (RIT) and International Relief and Development (IRD), created Refugee GIS, or RefuGIS, an innovative project that empowers refugees living in Zaatari to learn and build the GIS services needed to bolster the camp’s continually growing community. Although a number of capacity-building initiatives have been implemented for refugees around the world, RefuGIS—which is funded by a grant from the UNHCR Innovation Fund—is the first project wherein refugees are wholly involved in community decision-making processes, from emergency planning to infrastructure classification. By employing their newly acquired GIS skills, participants in RefuGIS can create the maps that support discussions about camp management and community engagement. At the start of the project, coordinators contacted people who had applied for an information technology (IT) technician position to gauge their interest in participating in RefuGIS. UNHCR, in partnership with RIT, then administered a spatial thinking aptitude test and conducted interviews with the applicants to find out who had a strong desire to learn GIS and related IT skills. From the candidates, a core group of 12 Zaatari residents was selected to launch RefuGIS—and none of them had a background in GIS. After the core group was chosen, UNHCR used the innovation funds to acquire the educational resources, along with the software and hardware, needed to begin the project. 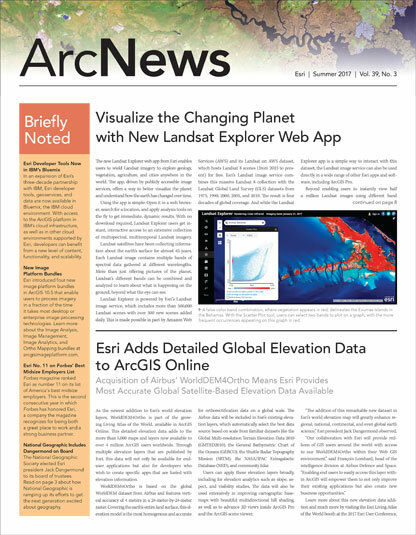 IRD used additional innovation funds to purchase 12 ArcGIS Desktop licenses through Esri’s Nonprofit Organization Program. The partners also procured 12 personal computers and 12 Android tablets so the project participants could employ ArcGIS Online and Collector for ArcGIS for field data collection, storage, and dissemination. Esri technology is at the center of RefuGIS. With all the materials in hand, RefuGIS established a dedicated GIS computer lab, open every day to program participants, to facilitate ongoing training and continual work on projects. This is believed to be the first GIS computer lab in Zaatari or any other refugee camp in the world. Dr. Brian Tomaszewski from RIT has been training the core 12 RefuGIS participants in GIS and related IT skills. Trainees primarily use ArcGIS Desktop to learn about mapping concepts, such as coordinate systems and thematic mapping, as well as software-specific topics, like working with digital datasets, map layers, and cartography in ArcGIS. They are also becoming familiar with related programs, such as Microsoft Excel and Access, Open Data Kit, and the Adobe Creative Suite. Members of the RefuGIS team mapped changes in infrastructure around Zaatari. Two months before making this map, none of them had ever used GIS. Additionally, professors from local Jordanian universities have been teaching participants the basic principles of graphic design and the fundamentals of database management. “We are very excited to have the opportunity to provide education and training to our Syrian brothers and sisters,” said Dr. Nijad Al-Najdawi of Jordan’s Al-Balqa Applied University. The impact of RefuGIS so far has been twofold: Not only have the core 12 participants built a GIS that enables them and their fellow Zaatari residents to make informed decisions, but they have also experienced personal growth. 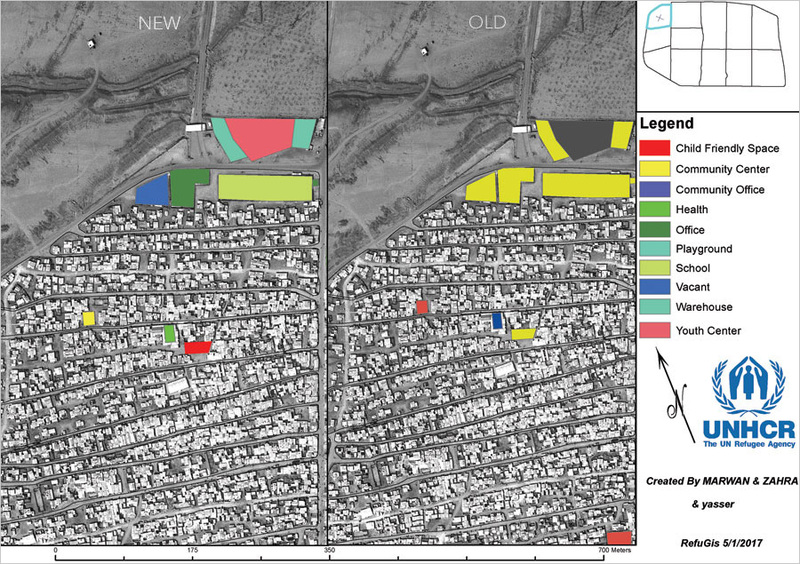 In just four months, the RefuGIS team conducted several successful GIS projects in Zaatari. For example, the team used Collector to gather information about the camp’s infrastructure. Participants also employed ArcGIS Desktop and ArcGIS Online to make reference maps of the facilities around Zaatari, such as community centers, health offices, schools, playgrounds, and warehouses. UNHCR and its implementing partners, as well as all the camp’s residents, can use these maps. While these projects are certainly important, the personal growth that RefuGIS participants say they have experienced is the most rewarding aspect of the project. “When I started working on RefuGIS, I no longer felt like a refugee,” said Marwan Theeb Alzoubi, a Syrian refugee who has been living in Zaatari for more than four years and is part of the core team that launched RefuGIS. Ideally, the refugees who participate in RefuGIS will be able to translate their new GIS skills into further job opportunities both within the camp and beyond—in Jordan; Syria, if they are able to return; and elsewhere—since GIS-related jobs are in high demand. RefuGIS also has an internal education program, where instructors from RIT and other project partners are training the core team to teach GIS to other refugees. Initially, the RefuGIS trainers taught the fundamentals of GIS and how to use ArcGIS to others who joined the project. But it didn’t take long for the training to extend beyond RefuGIS, with the new trainers teaching other refugees, as well as UNHCR and its implementing partners, how to do field mapping. The training program is intended, in part, to sustain RefuGIS in the long term. But it is also meant to extend the personal growth opportunities offered by GIS to as many refugees as possible. Refugees all over the world are tremendously interested in building skills that can provide them with livelihoods in their host countries. 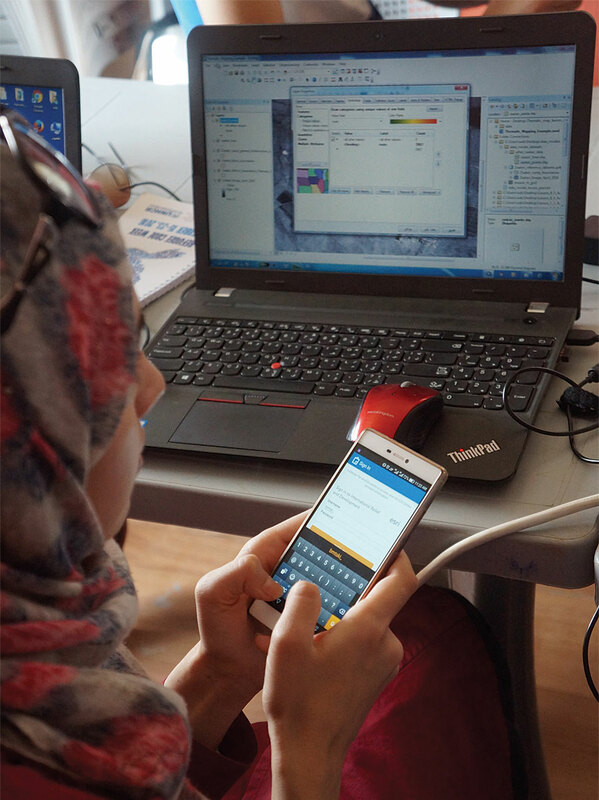 Although nonprofits and tech companies often provide refugees with training in IT skills, such as programming and web development, GIS has not been emphasized. RefuGIS is addressing this gap by being the world’s first GIS project for refugees, by refugees. 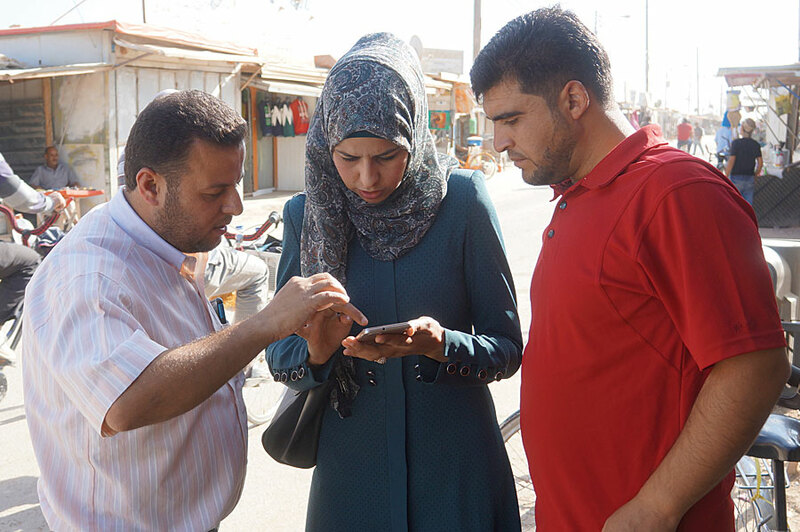 The aim is that, over time, RefuGIS participants will be able to manage Zaatari’s information themselves and address community issues by making their own spatially based decisions. The ultimate goal, however, is to scale the project worldwide, since all refugees have unique spatial situations and could benefit from the educational and economic opportunities that GIS can provide. Brian Tomaszewski, PhD, is an associate professor of geographic information science and technology (GIS&T) at RIT in the United States. Jean-Laurent Martin is an information management officer for UNHCR. Yusuf Hamad is a Syrian refugee living in Mafraq, Jordan. For more information about RefuGIS, email Martin.